Bollywood actors have often mentioned meeting real-life people to get into the skin of their characters. While Rani Mukerji interacted with Mumbai police officers for a cop’s role in Mardaani (2014), Vidya Balan met sleuths to play a detective in Bobby Jasoos (2014). Now, Emraan Hashmi, too, is doing the same for Hamari Adhuri Kahani. The actor, who plays a restaurant chain owner, has been meeting hotel employees to learn about the nitty-gritties of their profession. The actor has been taking time out from his work schedules to visit different hotels in the city. 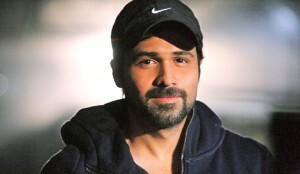 “Every alternate day Emraan visits a hotel and he interacts with the management. He is trying to understand their behavior towards the hotels’ staff and their conduct with the guests,” says a source close to the actor. Emraan is also meeting a lot of hotel chain owners to know how they function and observe their body language. The actor is also interacting with the waiters and is trying to understand how they manage a crisis situation at work.